The highly rated host became such a lightning rod that many at Fox wanted him out—and for Beck, the feeling was mutual. 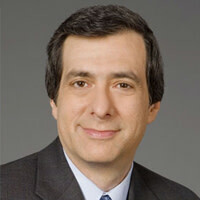 Howard Kurtz on the demise of cable's most radioactive show. Despite his monster ratings, Fox News is bidding farewell to Glenn Beck as tensions between the incendiary host and the top-rated cable news channel have led to a near-total divorce.I say near-total because the two sides announced a deal Wednesday in which Beck's production company will produce occasional content for Fox. But this is believed to amount to a only handful of specials, and many senior Fox executives are relieved to be rid of Beck, whose ratings have dropped 40 percent, and even more sharply among younger viewers. He was not offered a new contract.Beck, too, has tired of the friction with Fox and is said by people close to him to be happy to end the partnership.Whatever the genesis, for Beck to give up his daily 5 p.m. program, which at its peak drew more than 2.5 million viewers, is a case study in how even the most successful broadcast personalities can become too hot to handle.In the end, the man who drew a huge crowd to the Lincoln Memorial, but also became a lightning rod after calling President Obama a racist, lasted less than three years as a daily Fox host. More than 400 advertisers fled the Beck show, but he still delivered a huge lead-in audience for Bret Baier and others who followed him on the Fox lineup.On his show Wednesday, Beck said he had resisted Fox's initial offer because he doesn't like conflict. He likened himself to Paul Revere, delivering a warning to America. "We will find each other… I have other things to do," he said. Fox News Chairman Roger Ailes told the Associated Press that "half of the headlines say he's been canceled. The other half say he quit. We're pretty happy with both of them." He denied that economic pressure was involved, saying: "Advertisers who get weak-kneed because some idiot on a blog site writes to them and says we need to stifle speech, I get a little frustrated by that … Call CNN and MSNBC and ask them if they'd like to have Glenn's ratings at 5 in the afternoon." But Ailes hinted at the fact that Beck's stand-at-the-chalkboard routine, warning the country of dark and dangerous developments to come, was wearing thin. "I think he told that story as well as could be told. Whether you can just keep telling that story or not... we're not so sure," Ailes said. Beck will be fine; he has made more of his income from his production company, Mercury Radio Arts, as well as from speeches and his daily radio show, and is focusing on his new website, The Blaze. And whatever late-afternoon audience Fox loses will be partially offset by no longer having to defend Beck's most controversial utterances. The news release papers things over with friendly quotes that appear to be part of a face-saving effort. Ailes said: "Glenn Beck is a powerful communicator, a creative entrepreneur, and a true success by anybody's standards. I look forward to continuing to work with him." Beck responded in kind: "I truly believe that America owes a lot to Roger Ailes and Fox News. I cannot repay Roger for the lessons I've learned and will continue to learn from him and I look forward to starting this new phase of our partnership." The announcement says Beck will produce unspecified television "projects" for Fox after he gives up the show "later this year," "as well as content for other platforms including Fox News' digital properties." Ailes told The Daily Beast last fall that he has had conversations and lunches with Beck "where I say, 'What the hell are you doing, man? '…Beck trashes Republicans every night. I've said to him, 'Where the hell are you going to get your audience if you keep this up? You're trashing everyone.'" More recently, Beck has warned of a mysterious Middle East caliphate that resembles left-wing groups. He apologized in Feburary for comparing reform Judaism to radical Islam. "I've always told you to do your own homework and in this case I didn't do enough homework," Beck said. Some on the left are declaring victory. "Glenn Beck's departure from daily Fox News programming is a win for all of those who have fought to improve the quality and civility of our public discourse," former Media Matters President Eric Burns, now with Bullfight Strategies, said in a statement. "Try as he might to spin the situation, Beck will no longer have a daily television platform with which to poison the minds of his audience with violent, hateful rhetoric and fringe conspiracy theories." While Fox is known for such outspoken commentators as Sean Hannity and Bill O'Reilly, some journalists and executives at the network privately expressed concern that Beck was becoming the face of the network. Beck, for his part, believed he made his name as a radio host and that Fox was taking too much credit for his success after hiring him from CNN's Headline News. But he became a much larger cultural figure once he had the Fox platform. It's been apparent for some months that both sides were headed for a breakup, and that only the terms of departure remained to be negotiated.